Is Facebook's Overhaul Actually Good for You? For Journalism? For Anyone? We need to have a serious talk. Now. Mark Zuckerberg has announced some big changes are coming to Facebook’s News Feed. Going forward, the feed will prioritize personal content shared by friends and family over “public content” posted by businesses and media outlets. The Facebook product team has apparently been told to shift its focus from delivering relevant content toward promoting “meaningful social interactions.” The shift began in 2017 but it will take several months for the changes to take effect. Zuckerberg acknowledges that as a result of these tweaks, people will probably end up spending less time on Facebook — an end result he’s reportedly fine with, as long as the time users do spend using the service ends up being more meaningful to them. In the 14 years of Facebook’s existence, the platform has strayed from its initial purpose of connecting friends. Whether or not these changes have the desired effect of, perhaps, recapturing the platform’s original intent, the announcement marks a major shift in the way Facebook operates. While the benefits of promoting personal content over other posts may be obvious, the overall effect of online social interactions is still being studied. On social media, people are free to pick and choose what they share about their own life. For those seeing the posts, however, a constant, curated stream of these idealized representations can be harmful. 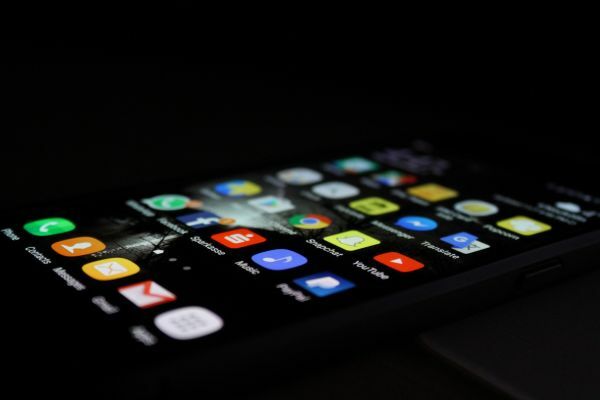 In today’s world, where a great many of us use social media (including the 80 percent of children who have an online presence by the age of two) it’s high time that we take stock of how we interact using technology. Facebook has come under fire for various reasons in recent months, ranging from criticism of its inability to remove inappropriate content to incendiary comments from former Vice President of User Growth Chamath Palihapitiya regarding its negative impact on society. In theory, the internet should enhance our ability to stay in touch with friends and family no matter where they live. In reality, there can be a tendency for people to passively observe what others share, choosing instead to participate only in a walled community without making an effort to go beyond that bubble. Ultimately, these issues are a result of human behavior, and a new algorithm alone won’t address the root of the problem. For its part, though, Facebook does seem to be making an effort to promote healthier social media usage. Can Canada Use AI to Crack Suicide Trends? A Former Facebook VP Says Social Media Is Destroying Society. And He’s Right. Should Twitter’s Ban on Hateful Content Apply to President Trump?